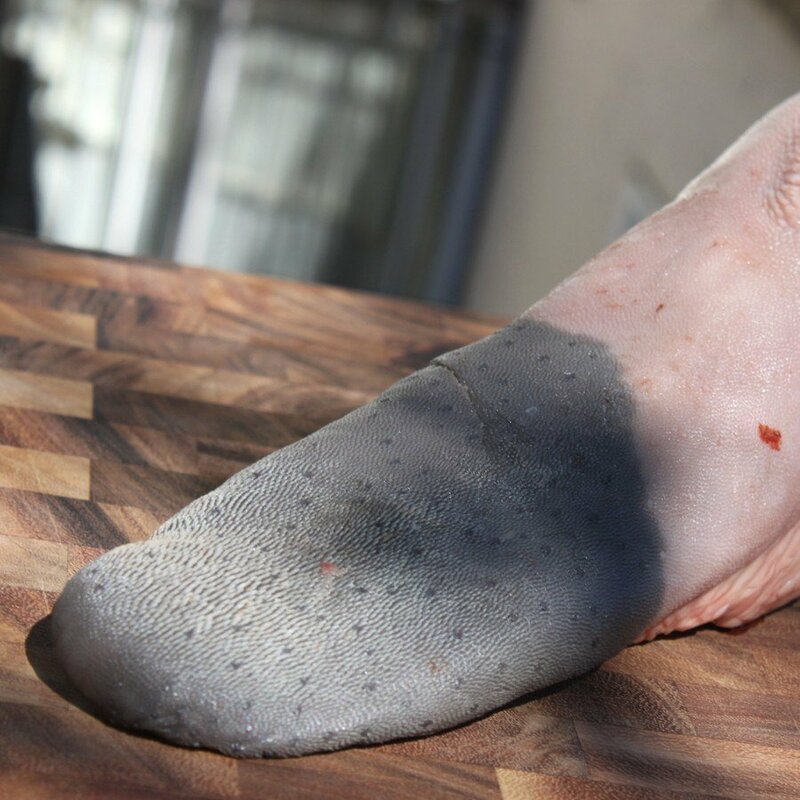 Beef tongue scrub brush, thoroughly rinse and cut the salivary glands, which are located on both sides of its base. Put into boiling water. We cook for 3-3.5 hours. If needed, add the water, the tongue all the time it was covered. 40 minutes before end of cooking water exchange. After 20 minutes of boiling, you can add a whole onion, peeled and cleansed. Add favorite spices, for example. Pepper, marjoram, allspice, bay leaf. At the end we add salt to taste. Cook covered. We punctured the tongue with a fork to see if it is ready - it should be very soft.